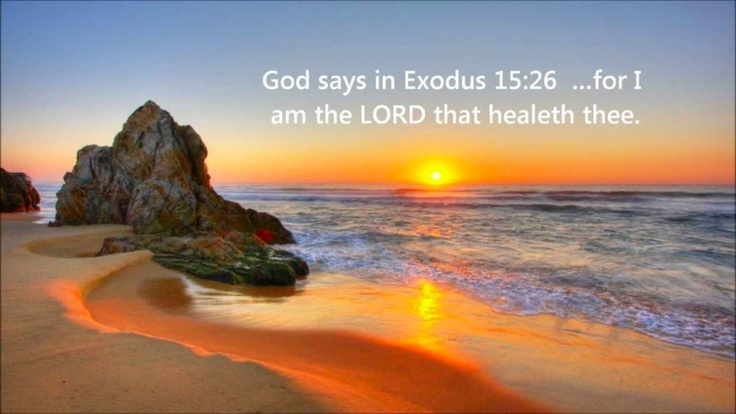 I AM THE LORD THAT HEALETH THEE! I AM the LORD that will complete the Good work and the Good WORD and My good will in your life that I HAVE AUTHORED, says the LORD. I have begun a good work in you. I will not be mocked. I always complete what I start and no power can conquer ME. I never change My Mind and nothing alters Me or affects Me or threatens Me or keeps Me back. I laugh at adversity, for even as the Egyptian army pursued My people and frightened them, they did not frighten ME. I looked down and laughed and made fun of them. The wheels of their trusted chariots began to break. l laugh at the enemy that opposes you, says the LORD. I laugh at the threats, for they do not threaten Me. I laughed at their plans, for I interrupted them. I laugh at all their weapons, for I deem them as ineffective and inept. I break the very arms of the enemy and interrupt and make foolish their counsel and cause them to be put in open shame. I Am GOD and cannot be mocked. I will complete and perform every WORD that proceeds out of MY MOUTH and nothing can stop Me, says the LORD. I am the undefeatable ONE and I AM on your side. Don’t let the babblings of the enemy distract you or destroy trust in ME. STAND FAST in FAITH AND CONFIDENCE IN ME, says the LORD. STAND IN ME ALONE and I will bring about the good that I have spoken. I WILL DO IT all by Myself, for I NEED NO HELP! I AM your provider that is on your side, and the enemy that threatens you and pursues you to harm you will only be openly defeated as you will stand in Me, with every provision. I will protect you and fulfill My good purpose in you, for I Am your GOD, and I WILL NOT BE DEFEATED. I alone will give you the total victory. STAND STILL AND SEE MY SALVATION, for it comes only from ME, says the LORD, your everlasting Father, and your ONLY GOD.